Hotel Midtown is conveniently located in a good locality in Chandigarh. The rooms provided by the establishment have been decorated elegantly with little knick-knacks like paintings. The colors used in the rooms are bold and bright such as pink and golden yellow. 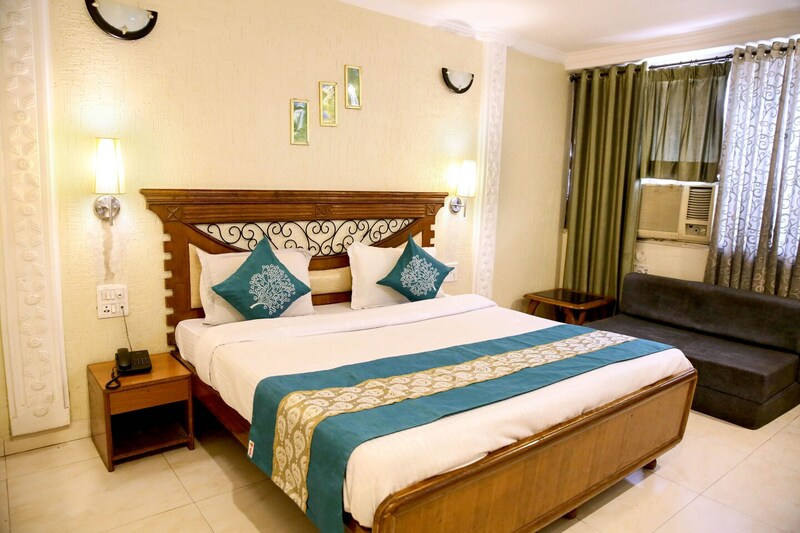 All rooms are well-furnished and well-lit appealing to the guests. The additional facilities provided by the hotel are free Wi-Fi, a power backup facility, parking provisions, card payment in all forms, laundry provisions and CCTV cameras. There is a common lounge within the hotel for the guests to relax and rejuvenate themselves after a tough day at work. The front desk service is manned by experienced staff and helps the guests in all possible ways.